Ecoventura is a family-owned company which has been welcoming visitors to explore the magic of the Galapagos Islands for over 20 years, aboard their environmentally friendly fleet of small expedition yachts. With a wide range of land and ocean-based activities to choose from, exquisite gastronomic experiences and an engaging dose of intellectual science, your time in the Galapagos is sure to be enriching. 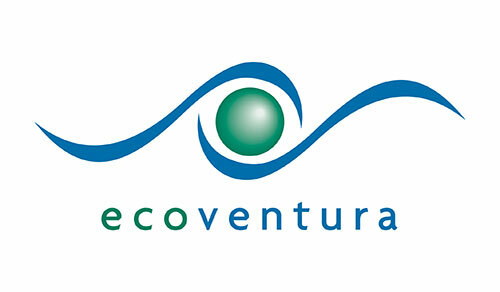 A true leader in sustainable travel to the Galapagos Islands, Ecoventura was the first company to earn and maintain the ecological certification, Smart Voyager since 2000, the first Galapagos cruise company to offset carbon emissions and to install alternative energy sources. A veteran crew supervised by a master-level captain, expert naturalist guides and concierge will take care of everything. Visitors can expect an intimate and personalised experience with just 10 cabins per vessel and a generous ratio of 1 naturalist guide per 10 passengers. Ecoventura offers 2 unique 7-night itineraries visiting the most spectacular sites of the archipelago, allowing you to take in the vast diversity of the Galapagos. The team at Ecoventura know too well that half of the Galapagos’ treasures are found below the ocean’s surface, which is why at least one snorkelling activity is scheduled each day. Choose between Ecoventura’s signature first-class motorised yacht, the MY Letty or one of their two luxury vessels, the MV Origin & MV Theory. For experienced scuba divers, the 16-passenger luxury dive-live-aboard, Galapagos Sky, offers a rare opportunity to dive in the northern islands of Wolf and Darwin. Shore excursions include hiking ancient lava fields where travellers will encounter pre-historic reptiles such as the iconic giant Galapagos tortoise, endemic land and marine iguanas. See the courtship dance of the blue-footed boobies, Galapagos Penguins, Flightless Cormorants and massive Waved Albatross, just to name a few of the comical seabirds. Explore beaches of black, red and green sand leading to the equatorial Pacific Ocean. Being able to snorkel, scuba dive or kayak while on a cruise to the Galapagos Islands is one of the highlights. Encounter a range of ocean life, including sea lions, dolphins, whales and tame sharks in the marine reserve surrounding these extraordinary islands. Departures are every Sunday on two unique 7-night itineraries visiting the southern/central islands on itinerary A and the northern/western islands on itinerary B.